Q: I was just editing the contacts on my iPhone when my pet cat suddenly jumps to my back, which really surprises me. Then I seemed tap on the wrong button and all my contacts are deleted! I must tap on the Delete All button instead of the Delete button! It is a great trouble to lose all the contacts. What's worse. I did not make a backup of these files! Now I almost go nuts! What should I do now? I know that the DiskDigger can recover the deleted files, but the device can only support Android phones and what I used is iPhone. Could you please do me a favor and tell me how to restore the deleted contacts from iPhone? Thanks in advance! The screen of iPhone becomes bigger and bigger with the development of technology. And as we know the screen is sensitive to finger and it is easy for us to tap on the wrong button with such a big screen. So many people may meet similar situations like the quizzer. If you lost important files like contacts and have no DiskDigger, do not worry, you can find the deleted files back! But you need to stop playing your device as soon as you find the files are lost. Because if you keep playing the device or add new files to the folder, the new files will overwrite the deleted files, which make it impossible for you to recover the deleted files from your device. Here we are honored to introduce a professional and powerful software that can be the alternative to DiskDigger - MobiKin Doctor for iOS (Windows/Mac). 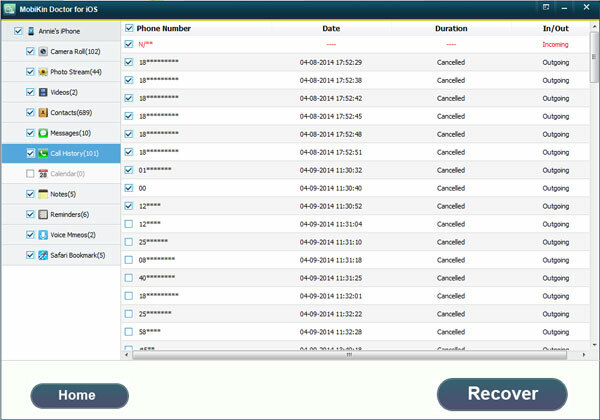 It is a third party tool used for view and recover all the lost iPhone data to a computer including contacts, messages, photos, videos, bookmarks, reminders, voice memos, call history and notes and so on successfully with no data loss and modification or personal information leaking. What's more, the software can support various types of iOS devices like iPhone, iPad and iPod with all generations of the operating system. Furthermore, the software is easy to use and operate and the whole process requires no professional skills and can be finished within several clicks. Apart from these, you can preview and selectively the wanted files to retrieve. You can download the free trial version of the software by clicking the icons below. 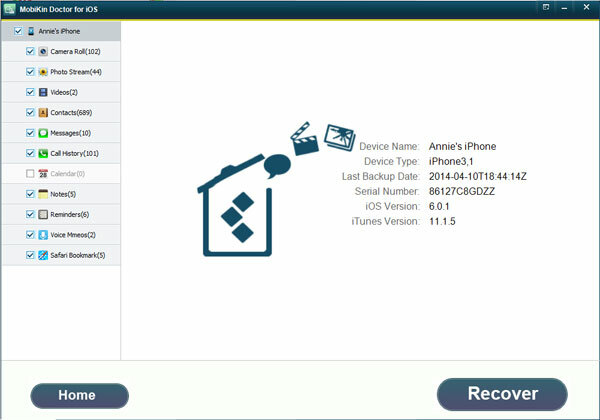 How to Recover Deleted Data from iPhone on Windows/Mac? Download and install the software on your computer and then connect your iPhone to the PC with its USB cable. Run the software and you can follow the instructions on the interface to jailbreak your device. 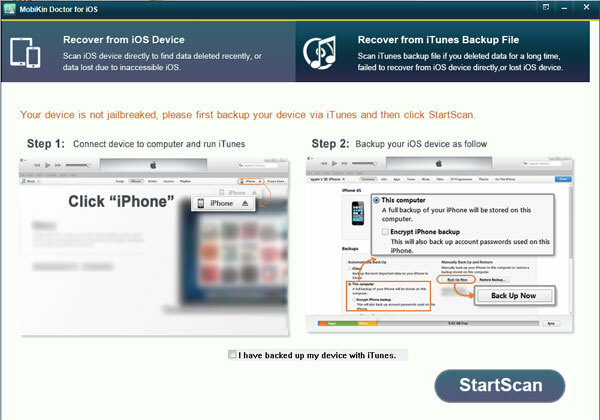 Then select the first mode - Recover from iOS Device and then click on the StartScan button on the below right corner. Then the software will detect the connected device and scan all the files in it. You will see an interface with many categories on the left panel. 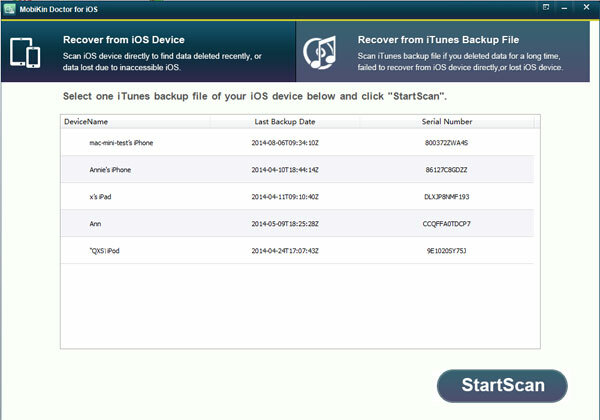 If you made backup on iTunes, you can select the Recover from iTunes Backup File mode. This mode allows you to extract the deleted files from backup to computer directly so you do not need to connect the iPhone to computer. Just select the wanted files on the interface and transfer the backup to computer. If you want to know more functions of the software, you can download the free trial version to have a try!